Bitter melon (Momordica charantia L.) is widely used for the treatment of diabetes. Recent research reports suggest that bitter melon extracts may ameliorate high fat diet induced obesity and hyperlipidemia in animal model. 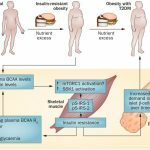 Most findings related to obesity and hyperlipidemia also showed that the plant extracts may modulate fat metabolizing kinases such as AMPKs, genes, and nuclear factors like PPARs, LXRs, and PGC-1α, in liver and skeletal muscle and affected adipocyte differentiation, while several review papers suggest the antidiabetic mechanism  and various pharmaceutical effects of the plant  and emphasized its efficacy and safety aspects. Therefore, the present review aims to describe the effect of bitter melon extracts on various parameters of metabolic syndrome, obesity, and related cardiovascular complications. 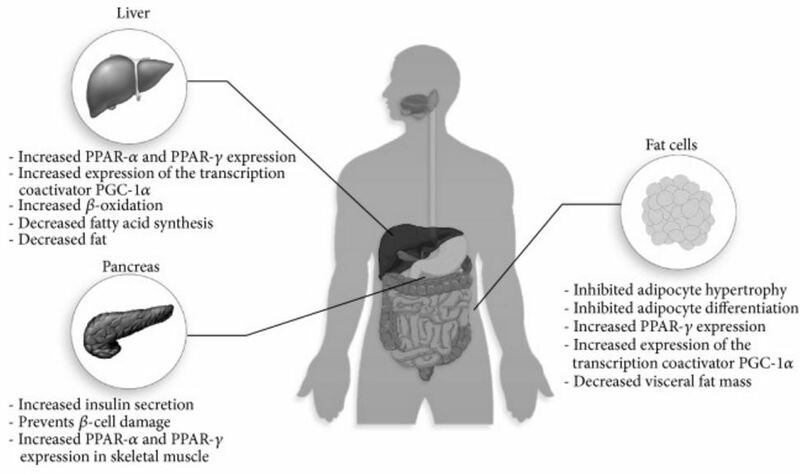 Moreover, this review will also find out the plausible mechanisms responsible for antiobesity and hypolipidemic effects of the plant based on available information to date. Recent scientific exploration on this plant elucidated potential biological effect on both animal and clinical studies. Apart from its potential antibacterial  and antiviral activities , bitter melon extracts are also effective against cancer and were found to be effective for the treatment of ulcer, malaria, pain and inflammation, psoriasis, dyslipidemia, and hypertension. Momordica charantiaalso contains biologically active chemical compounds such as glycosides, saponins, alkaloids, fixed oils, triterpenes, proteins, and steroids . Several other biologically active chemical constituents have so far been isolated from different parts of the plant, including the leaves, fruit pulp, and seeds. Body weight gain and abdominal fat deposition are the early signs of obesity. Bitter melon extract showed useful benefit on body weight gain and fat deposition (Figure 5, Table 1). Several investigational reports suggest that bitter melon can reduce body weight in high fat diet induced obesity in laboratory animals. Bitter melon (0.75% of diet) supplementation prevented the body weight gain and visceral fat mass significantly in rats fed high fat diet . This weight reduction may be a result of increased fatty acid oxidation which ultimately facilitates weight reduction . Moreover, the bitter melon extract supplementation reduced the peritoneal fat deposition in rats fed a high fat diet . In another study, bitter melon significantly decreased the weights of epididymal white adipose tissue (WAT), visceral fat, and the adipose leptin and resistin mRNA levels in C57BL/6J mice fed with a high-fat (HF) diet . Bano et al. reported that 2 mL/day dose of aqueous extract of bitter melon significantly reduced body weight gain in rats . 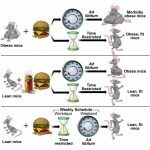 A recent study also showed that the seed oil supplementation of the plant reduced body weight and fat mass in mice fed a high fat diet .